Hi, my name is Anatoli. I seriously got into wine some time in 2001/2002 (my family doctor recommending to drink a glass of red a day to lower the cholesterol, is partially one to blame). Yes, I was drinking wine before, but at that time it became a passion – and it happily continues ever since. One of the great things about wine is that it becomes better when it’s shared. As it is still difficult to actually share a bottle over the internet ( well one day, maybe? ), we can share our experiences – and this is what this blog is all about. Today’s wine world is ever growing one – new grapes (or very old and well forgotten), new places are added almost daily – and that makes a journey very exciting. Let’s go together and explore wine, food, and life! This is a blog about wine, food, and life. I plan to talk here about wine. As a glass of wine is part of my daily routine, I usually rate the wines I drink. I plan to talk about places where wine is made – when I’m lucky enough to visit them. I also plan to talk about good places to buy the wine – as long as your definition of “good” at least partially depends on value, or QPR, we will do just fine. Is that all? Of course not. There will be Whisky and more, there will be travel and places to visit, there will be restaurants. And food, of course, I plan to talk about food. And life? Yes, and life is happening now… so let’s go along. Over the years, I spent a lot of time learning about wine. Like many of us, I learn the best from my own experiences – so I made significant efforts in that direction. The next step was to learn something from the pros, so I went to the Windows on the World Wine School. Kevin Zraly, who taught thousands and thousands of people to understand and appreciate wine, was an amazing teacher. I always refer to his definition of good wine – “the wine which gives you pleasure”, and to his way to swirl the wine in the glass when you want to really taste it. I would say that this school really opened my eyes to the world of wine. Then I worked as a Sommelier in the restaurant called Quattro Figli in Greenwich, CT. While I spent only about 8 months on this ( the restaurant closed, unfortunately), I’m still very proud of the wine list I created there, which was somewhat short but very ambitious (yes, I was dreaming of Wine Spectator Grand Award) and included great wines from a lot of lesser-known regions and tasting flights. And last but not least was my attempt to become a Master Sommelier for which I took the first course and successfully passed the test to become a member of Guild of Sommeliers, but didn’t make it to the next level as a Certified Sommelier – and as this might be a good topic for a few posts we can leave it for later. Does the world need another set of wine ratings? Of course not, we already have many. So why would I come up with my own wine rating system? Well, I really rate the wines for myself. I do keep the records for most of the wines I tasted, and those records include the wine label, the date when I drank the wine, the notes and “drinkability” rating. Now, yes, there are plenty of wine rating sources – Wine Spectator, Robert Parker (Wine Advocate), Stephen Tanzer (International Wine Cellar) and many more, all of them using 100 points rating system, with 100 being the highest and unique. I find 100 point system somewhat challenging, as I never saw a rating of 40 on the wine (I believe 72 was the lowest I ever saw), and I can’t distinguish between 89 and 90, or 93 and 92 (and still dreaming about trying 100-pointer perfect wine one day – not true anymore, this already happened but you will need to read the blog for more). My system goes on the scale from 1 to 10, with 10 being the highest (don’t think I ever rated wine at 10 – also not true anymore – there is one wine so far I rated at 10), and I also use “+” and “-“ to indicate score “in between”, as in a lot of cases I can’t make a decision (that also was one of the reasons for flanking the “Certified Sommelier” exam as I was unable to decide on the wine in the blind wine tasting). Connect and talk to me! Next Friday, Stew Leonard’s Wines will be hosting their first Sip & Twit wine tasting featuring Iron Horse Wines. Instead of sharing tasting notes the old fashioned way, tasters will be takin’ it to the tweets as they inundate the twittersphere with their taste-based observations. We would love for you to attend this event at from 4:00-7:00 p.m. at Stew Leonard’s Wines on 910 Mountain Avenue in Springfield, New Jersey. Please let me know if I can fill you in on more of the deets, or should I say tweets, in this exciting new trend. thank you for the invitation! I plan actually to attend Sip and Twit event on Friday, October 22nd at Stew Leonard’s Wines in Norwalk, CT – it is much closer to my home. Thank you for the kind words about my Mara Laughlin Road Ranch Pinot Noir 2007 at your wine dinner. My boss is a winery owner and would like to send you a thank you email for a nice review you did. I can’t, however, find an email address for you. Hi there- I really want to make a journal for myself of my favorite wines w the labels – can you share how you remove the labels from the bottles?? I have been following your blogg since we met last November. You were tasting wines at the Wente Estate Tasting Room in Livermore, CA. I was the guy (Myrl) that poured you the 2009 Wente Small Lot Grenache to taste. I told you it was one of my favorites. In your December newsletter/blogg you ranked it #6 of the wines you had tasted that year. I just wanted to say thanks and that I truly enjoy your wine experiences. Let me know if and when you are going to be in our part of the world again. thank you for the note, appreciate it and glad you like the blog! As a matter of fact, I plan to visit Wente during the last week of November – we plan to have a tasting and a dinner there, so I might see you again. Today we nominated you for the Very Inspiring Blogger Award. Check out our post http://florastable.com/2012/12/01/the-very-inspiring-blogger-award/ if interested. Congrats on a very nice blog and have a wonderful weekend! Ahh, thank you very much! You are too kind! I’m honored and greatly appreciate the award! We nominated you for an award. Check our post http://florastable.com/2012/12/22/its-been-raining-awards/ if you are interested. thank you very very much! I really appreciate the nomination! Aha, may be it should be a quiz question? : ) Honestly, I don’t remember at the moment, but I will try to figure it out. Just run stumble upon your blog. Seems really interesting. Really like the wines categories. I wonder, have you ever tried http://www.astoria.it/#/en/ ones? Not easy to find out (mainly produce for restaurants&hotels), but thanks to them I start drinking also white wines. I don’t believe I ever had Astoria wines before – yes, I can clearly see that they are intended for the restaurants, as they even tell you how to properly put the wine name on the wine list. I see that some of their simpler Proseccos are actually available in US in the stores, but I couldn’t see any of their other stuff. I will be on lookout for them to try. Wow, I can feel your passion. Inspiring… BTW, how does the WSET course differ from the CMS course? I’m going to take the WSET path…The wine world is mind blowing, demanding endless of learning…that’s what makes it addictive, I guess. Thank you for sharing your knowledge. I’m moving to Bordeaux soon as Turkey isn’t a place for wine 🙂 See you from there! Thanks for the comment! 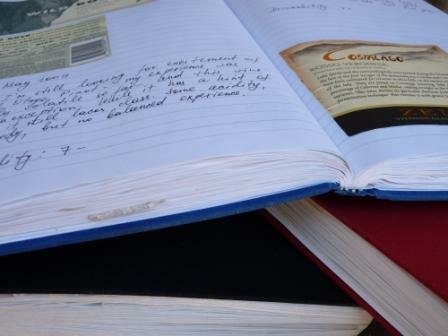 I can’t tell you how WSET is different from CMS as I never looked at the WSET course. I believe quite a few people go with WSET, I think it is more universal for the people who want to attain a certain level of the wine knowledge, where CMS really requires practical sommelier experience… Yes, the wine world is fascinating. Good luck in your journey! Thanks for liking my blog post. I thought oatmeal was supposed to lower your cholesterol. More people can get behind red wine that oatmeal, I’m guessing. Of course. And yes, oatmeal in the morning and then the wine in the evening – that is exactly what doctor ordered! Hi Margot, thanks for the follow! The wine and food go hand in hand, and both offer the endless learning opportunities for all of us. Enjoy the ride and cheers! Thank you Shanna! Love your blog too! Your writing and research is amazing. I’m getting there! lovely to meet you online – I agree – sharing a bottle with friends is the best way to enjoy wine, if you are alone it just isn’t the same. where where are you located now – the photos don’t look like the US to me (house on the right doesn’t look US), but the spacing the vines is so far apart that you drive through with a tractor based on the tread marks and I have never seen vines spaced this far apart anywhere in Europe not France, Spain, Germany or Italy at least. Not that that doesnt mean it’s not there of course. Earth colour seems wrong for israel….Oh random guessing now :)!!! Soft rolling hills?? But I guess the tractor cinches it – US somewhere??? Please put me out of my geographical misery :)!!! Oh last guess Ukraine or Georgia? I just found pics that show they have tractors in their vineyards and the rest of the geography feels right too :)! Dear Poli, thank you for stopping by and nice to meet you! I’m located on the East Coast of US. However, the picture in the background could’ve been taken anywhere, don’t you think? 🙂 I really like your analysis – you got really a lot from a simple picture 🙂 But this picture was taken in (cue in drum roll) Temecula, California – most southern appellation, one hour up from San Diego. Cheers! thank you – well I had never really seen vines where there is space for a tractor and it got me thinking! maybe anywhere, but nowhere close to me that grows vines (more hilly here – Alsace and Germany) – or Tuscany – more hilly too and not that arid 🙂 – and Israel I remember they grew either side of the valleys – so that wasn’t working, but yes anywhere they work with a tractor I guess….thanks for you kind words, I got a bit carried away :)!! Temecula – never heard of it, but I do have friends in Riverside so it’s round the corner from there!! thanks for telling me and cheers to you too! Hi! Just found your blog through TDPC. I really like what I’ve seen so far, and will be back for more. I’m also a wine lover and especially like to pair wine and food. 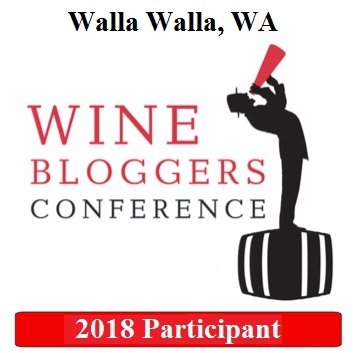 I write about wine on my blog occasionally, and that should change to more frequently in the near future because in fall I’m starting formal training (even though I don’t plan to make a career out of it). Hi Stefan, thanks for stopping by and thank you for your kind words! I see a lot of great recipes in your blog, so I’m looking forward learning from you as well! Please join us this Saturday, October 3, from 3-7 p.m., for the grand opening of Putnam & Vine on 39 East Elm Street off Greenwich Avenue. Help welcome the new wine and spirits shop, enjoy wine tastings, appetizers, music, a raffle and watch our State Rep Fred Camillio “cut the ribbon.” We hope you can join us. Please email me at betsykellerpr@gmail.com if you can attend. P.S. I just found your blog today and LOVE it. My boyfriend is from France and introducing me to the world of Bordeaux! 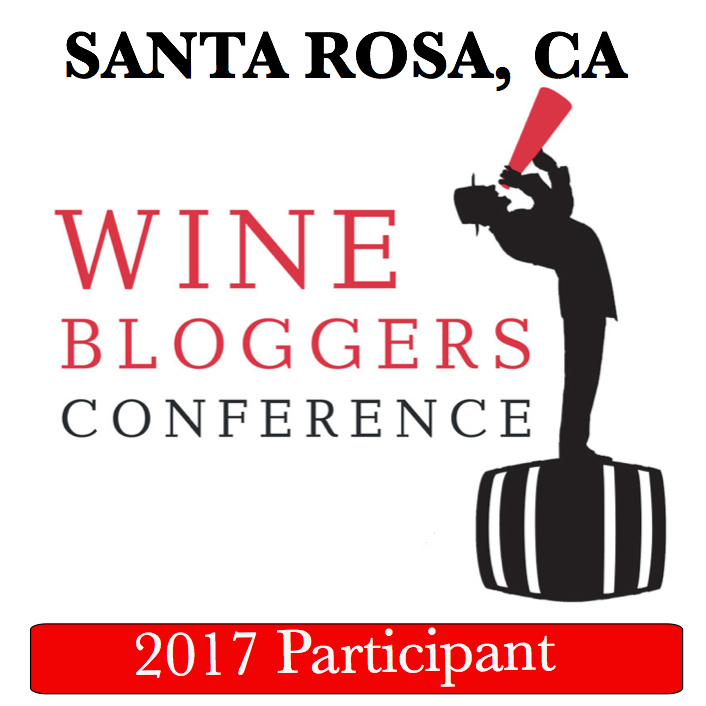 I am from California originally…so finding a whole new wine experience fascinating.